As you probably know, I'm the proud host of the Fitness Pollenator Video Podcast. New episodes with some all-star guests are currently in the works, so be sure to check it out if you haven't already. 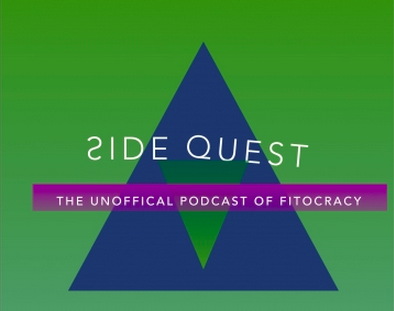 Just the past past week, I actually had the honor of appearing on another fitness podcast, this one Robbie Farlow's Side Quest Podcast. Robbie's lineup of previous guests include incredible trainers like Jessi Kneeland, Bryan Krahn, Greg Nuckols, Jordan Syatt, and many more. If you enjoy it, I definitely recommend dig into Robbie's archives and subscribing to the Side Quest Podcast on iTunes!